The state of our state is strong, Gov. 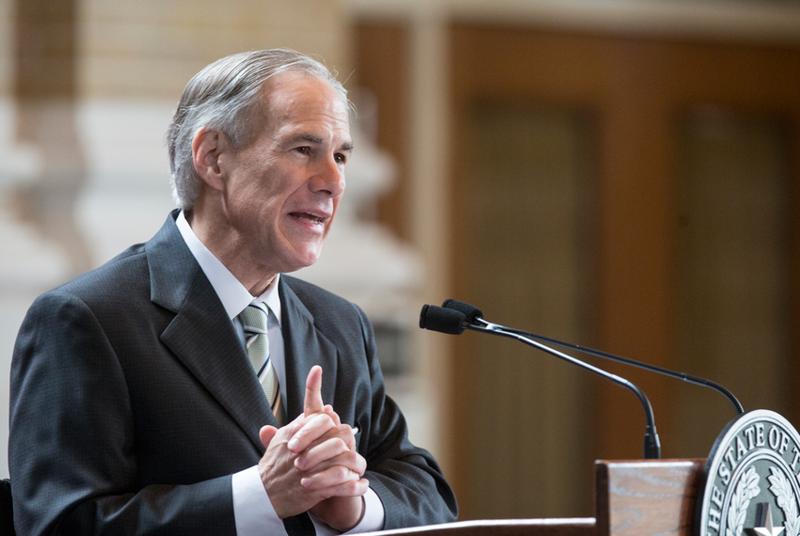 Greg Abbott pledged in a report released Monday. The 42-page “Report to the People of Texas,” which highlights the status of various industries and projects within the state, paints a rosy picture of progress over the last year: top rankings in business and education, vast population growth and hundreds of thousands of jobs created. Still, it skims over a few major challenges Texas faced in 2017 — including a high-profile, long-enduring lawsuit over the state’s treatment of its foster children and the Legislature’s failure to reach a deal on overhauling its public school finance system. "Though tested in 2017 by Hurricane Harvey and other tragedies, Texas remains the envy of the nation," Abbott wrote. Texas created 306,900 jobs this past year, the report said, keeping the state’s unemployment rate beneath the national average even as the population swelled. Abbott credited some of that job growth to the sometimes-controversial Texas Enterprise Fund, a $230 million pot of money the governor can dole out to businesses weighing sites in Texas against other states. That program — which Abbott said “helped to close the deal” on 21 projects in the last two years — was fully funded for 2018–19, although dozens of legislators voted to defund it last year and experts say such financial incentives rarely prove pivotal in companies’ site location decisions. Abbott also chronicled several advancements in education, including the state’s record high-school graduation rate. He also touted the achievements of a pre-kindergarten grant program that provided “enhanced instruction” to 80 percent of pre-K eligible 4-year-olds in Texas during the 2016–17 school year. But that program lost funding during the last legislative session. And Abbott touted the state’s creation of a school finance commission to study that issue during the interim. That commission, which met for the first time last week, was formed to study the issue although the House and Senate failed to reach a deal on a school finance overhaul. The report also praises the Legislature for passing several measures to address one of Abbott’s “emergency items”: reform to Texas’ Child Protective Services. Abbott signed several child welfare bills into law in May. But the report glazes over a high-profile, multi-year class-action suit against the state of Texas over the way it treats its foster children. U.S. District Judge Janis Jack ruled this month that the state’s foster care system — even after the reforms made during last year’s legislative sessions — requires oversight from federally appointed “special masters.” Attorney General Ken Paxton pledged to appeal that judgment immediately after it was released. In response to Monday’s report, Texas Democrats sent a news release arguing that “Abbott Cannot Spin First Term Failures,” highlighting what they described as Abbott's failures as governor.